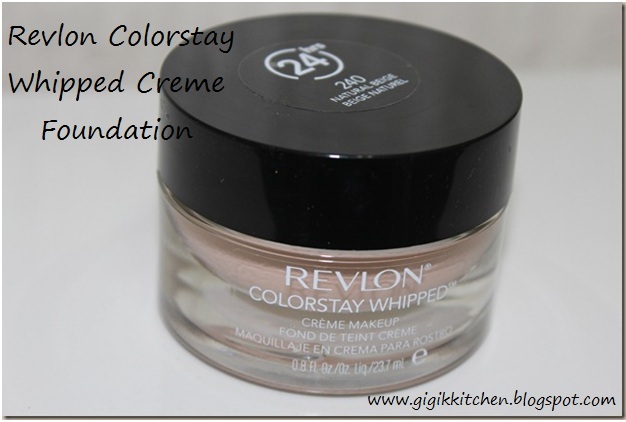 Revlon Colorstay Whipped Creme Foundation: 0.8 Fl Oz $13.99 is one of Revlon's relatively new foundations. What they say about it: "Finally, truly decadent makeup offers ultimate performance. The mousse-like texture feels like silk on your skin. And, the time release formula balances skin for a flawless look. All day flexible wear without flaking, caking or feeling heavy." my Loreal foundation at the end of last month and seeing some pretty positive reviews on this one, I didn't hesitate to purchase. Coverage: It has a medium- (buildable) full coverage. With just one layer I can get a pretty flawless look but since I have hyper pigmentation and redness in my cheeks that peeks through a bit I either have to build it up a little in that area or use a little concealer. Finish: It has a pretty matte finish but still feels very natural and light for wear and doesn't cause any flaking or dry patches which I like when my skin is dry this time of year. I find that it sets nicely too and I don't even have to set it with a powder most of the time. Consistency: The consistency of the foundation is unlike that of any other foundation I've tried. It's not your typical cream foundation as it is far more solid. It's thicker and creamier then a liquid but still has a mousse like feel to it. If you would turn the jar upside down the product would most likely very very slowly run out or even stay completely put. Formulation: In comparison with the original colorstay liquid foundation it is far easier to work with. That one dries really fast which makes it difficult to apply and blend. This one stays creamy for far longer so I can really work it into my skin and get an even layer. Lasting power: 24 hours is definitely an over exaggeration and come on who really wears foundation for that long? Either way I can definitely say this lasts for 12 hours solid without fading. In fact, I was at the dentist today and you know how cleanings go? (water spraying everywhere) I was happy to find that this foundation held up through that without budging. I have yet to wear it in intense heat or humidity so I can't say much about that yet. Also, although it stays really well it isn't difficult to remove at the end of a day. Variations: This foundation is available in 16 shades making it easy for almost anyone to find the perfect match. I purchased the shade 240 Natural Beige thinking it would be the perfect match for me according to the shade I wear in the original colorstay liquid foundation. It turns out they aren't the same and it is a drop darker then my skin tone but I am still making it work. Scent: I'm happy that it doesn't have that strange chemical paint smell of the original colorstay foundation and I haven't really noticed any distinct smell at all. Packaging: The heavy glass jar with screw on lid is definitely visually appealing yet kind of heavy and bulky causing trouble with storage and travel. The other problem I have with the jar situation is that it's not very sanitary what with scooping it out with a brush, fingers or other tool. I use a makeup spatula to remove a bit to my hand for application to keep bacteria buildup from happening but I find that to be not very good when I'm in a rush. This foundation feels very light on my skin, has natural finish with a medium to full coverage, last really well throughout the day, doesn't have a horrible smell, comes in several shades and photographs well. I'm not happy that it doesn't have any SPF in it as sun protection is very important to me in the meantime I've been applying a layer of moisturizer with SPF in it before the foundation. The packaging is another con for me as it's fat too heavy and large to store and travel with and if it was dropped it would definitely shatter. As you can say a little too dark for me but I like that it gives me some color and makes it seem like I’ve just been in the sun even. I might get a new one to use for the rest of the winter and leave this for the summer when I have a little more color though. Have you tried this foundation? What did you think of it? What is your favorite foundation? 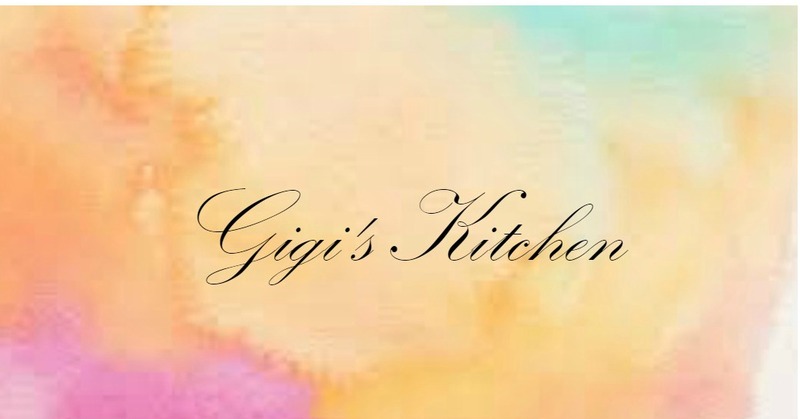 Let me know in the comments form below- I love hearing from you! Thank you so much for stopping by, subscribing, commenting and reading it really means so much to me!